Every member of our family has a fish. They are so fun as tub toys and feel great as scrubbies! They have two different textures, so are perfect for delicate baby skin or tough daddy skin. 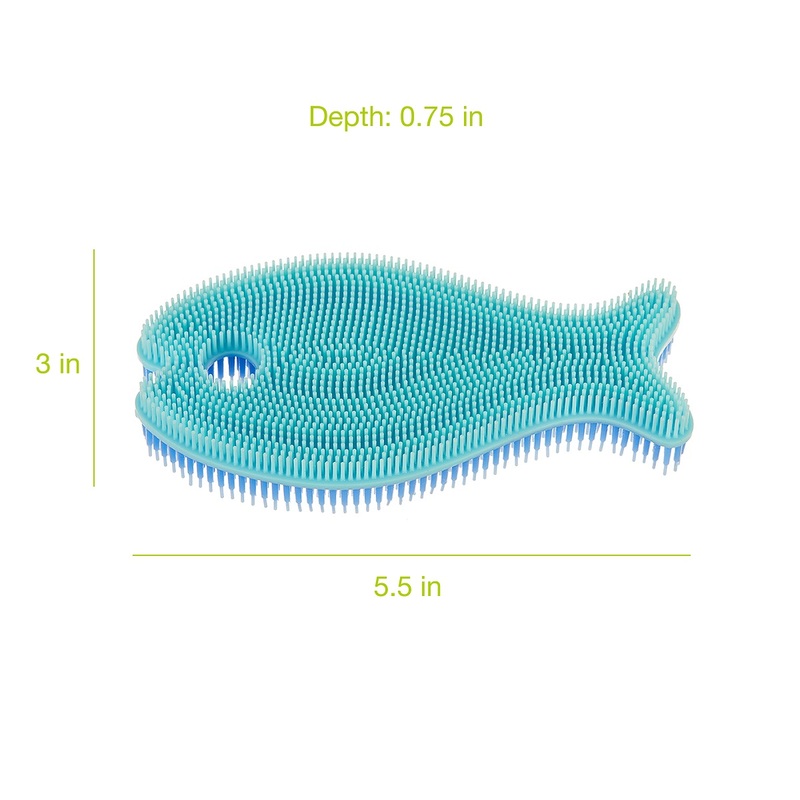 This fish scrubber is great for my infant and preschooler. I bought another one after I used it with my oldest. My oldest liked to play with it during bath time but will also scrub himself. For my youngest, he likes how it feels on his skin and it does wonders with cradle cap!! Silicone fish bath scrub- soft enough even for Baby's head. Bubble bath assembly line makes bathing the 3 kiddos a breeze. They love helping each other wash with their "fishy scrubbies"
My baby had cradle cap and I loved using this product to wash off her dry and peeling skin. I also loved that it’s reusable so I don’t have to worry about laundry. You’ll need more than 1! is making bath time really fun for my twins! My son loves this fish scrub. He even washes himself with it and is learning to become independent. We’ve been using it since he was 11 months old for cradle cap. Great quality too! This scrub is a lifesaver for anyone with a child with bath time SPD!!! we no longer have tears and screams of protest when washing! HIGHLY recommend everyone gives this silly scrub a try!